I had a special request for a Baobab tree. There are nine species (you can see them here. Scroll down for the funkier ones), so I did two different versions. These are just a guide though. 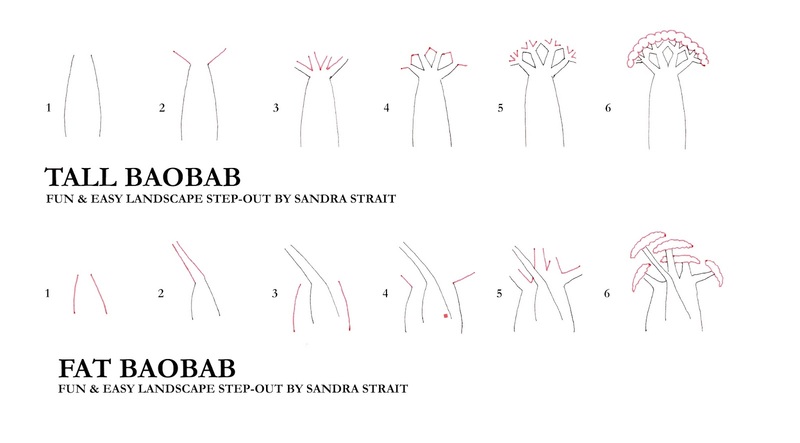 Baobabs are straaaange looking trees, so feel free to add limbs, twist them around. I’m not sure why these came out so light. I’m trying to get them darker, and I’ll change out the photo when I do.